An inlet manifold for fitment to the Renault Clio Sport 197 F4R830 2.0 16v engine. The runners on this manifold are to suit the Suzuki GSXR750 SRAD (late 1990's) and GSXR1300 Hayabusa (K1-K2) throttle bodies with 54-55mm outside diameter and 42mm inside diameter, spaced at 80-80-80mm. This particular manifold incorporates a specially profiled plate on the inlet side to closely match the cloverleaf shape of these throttle bodies where the injector cutout is incorporated (see photos). A 54mm silicone hose can be used to mount the throttle bodies (please see our fitting kit range). Please check that this is correct for your throttle bodies prior to purchasing this manifold. If in doubt please ask. Not suitable for GSXR600 or GSXR1000 - see our other items for these applications. Ideal for anyone who has already sourced a set of GSXR Throttle Bodies for their F4R830 engined project. 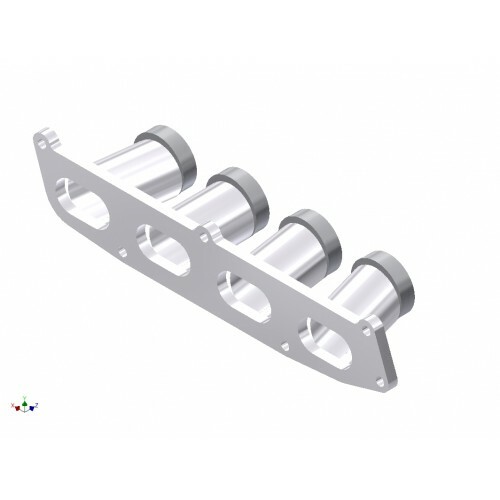 With this manifold the standard bike fuel rail, injectors and throttle linkages can be retained - the bodies can simply be bolted on without modification. The manifold includes a single connection for the brake servo - this can be blanked off if not required, please advise when ordering. 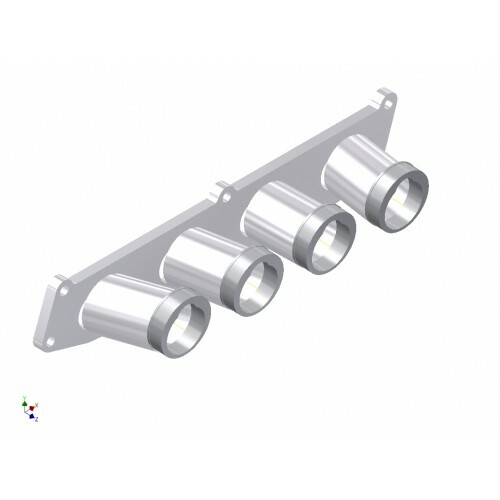 The design of this manifold is such that the throttle bodies are angled upwards to aid clearance to the bulkhead - see the technical drawing for further information. When purchasing if you are unsure please advise us of the throttle bodies to be used and their inner and outer diameters at the manifold end. 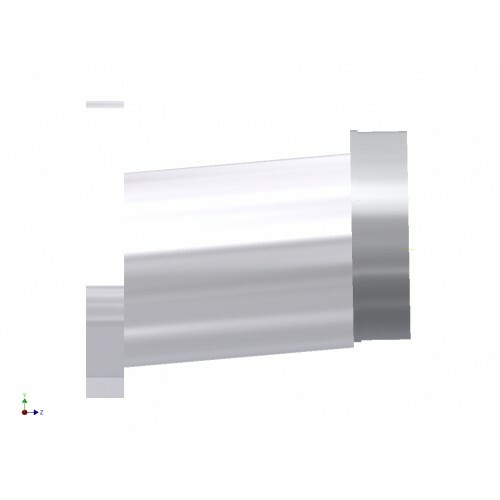 This will enable us to make the manifold to best suit your application. 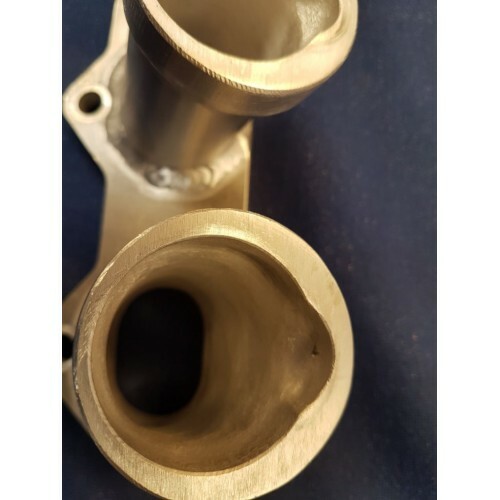 If you do not see a manifold to match the dimensions of your throttle bodies please ask - there are many variations of GSXR (and other bikes) but we CAN make the manifold! We also offer velocity stack kits for these throttle bodies as well as air filter packages, fluoro silicone fitting kits, injector connectors and much more! This item is made to order and is therefore on a 10 working day lead time. If you require any vacuum take-offs adding to the manifold or a coolant connection these are easily added - please contact us.